Your branding should be identifiable. This means your logo, website URL, phone number, and social media handles should appear on everything you send out. Colors and fonts should be consistent. This applies to your website, business cards, invoices, the design of your freebie downloads, your brochures and even your email signature. Pick a brand style and stick with it! Everything related to your brand should tie together and match. Your brand message should be both repeated and supported throughout your marketing efforts. My brand message is about designing momentum in your business. You bet that I talk about creating momentum with my clients, I use the word “momentum” regularly in my marketing, and (of course!) it’s in my business name and logo. There are plenty of other businesses that you’re familiar with that nail this concept of consistency in marketing. Trader Joe’s is a great example. They focus on making it affordable and fun to shop healthy. The stores are full of eye-catching illustrations, the employees wear fun uniforms, and they essentially dare their shoppers to try new types of foods. Aerie is another example. They’re all about “feel good” clothing for real bodies. When you see an Aerie campaign, you know you’re not going to see the heavily photoshopped and picture-perfect bodies that you would with a brand like Victoria’s Secret. Instead, you’ll see curvier figures, women with disabilities, and stretch marks on full display. It’s refreshing! Target is a third example. Every time you see their signature red color and that bullseye, you know exactly what ad is coming on TV! Your social media should support your brand message. While it’s certainly an effective way to tell your story, social media should do more than just regurgitate who you are and what you do. Use your posts to offer some value to your potential clients! What useful tidbit of information can you provide them that can positively inform their day? Your lead magnet offers (or freebie offers) should provide valuable information in exchange for an email address: These should reinforce your brand message and give someone a sample of what you can do for them. Leave them intrigued and with a call to action to contact you to build a deeper relationship. Take action! 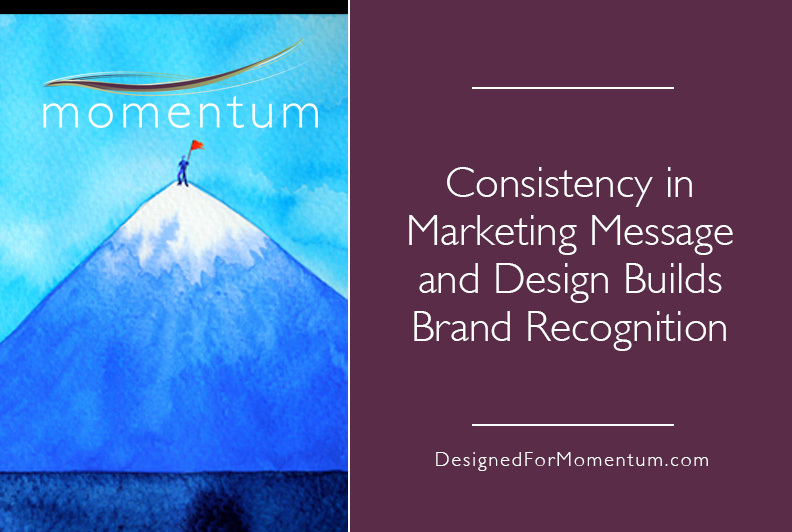 Just as you need consistency in your marketing, your actions must be consistent, too. If you’re committing to blogging once a month, don’t skip a post. If you’d like to do a monthly video series, schedule time to create your videos consistently each month. It’s easy to get discouraged if you feel like you’re not building the audience you had hoped in the timeframe you’d envisioned, but you never know where seeds are planted. Remember: it’s better to start slow and ramp up. And if you’re not going to maintain your social media presence in a mindful way, it’s best not to do it at all. Or, you can choose just one or two platforms to utilize, rather than trying to do four or five ineffectively. Create consistency with your boundaries, communication, client processes, and client expectations. I’ve gotten my website design process down to a science. My clients know exactly what paperwork they’ll be receiving and what our timeline and deadlines look like. This helps everyone to set and understand expectations. Be proud of what you’ve already done, but don’t rest on your laurels. It’s easy to get so focused on, “Look what I’ve done!” that you forget to keep pushing yourself forward. In last month’s blog post, I shared several of my favorite business books. 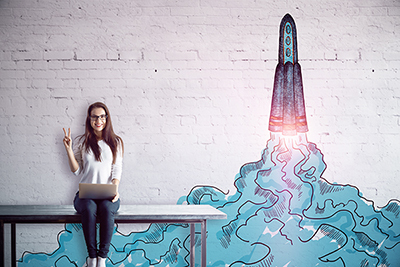 In my business coaching, I often have clients want to highlight what they’ve done – which is super important – but yet they resist taking action on the new steps that need to be taken. In last month’s blog post, I shared several of my favorite business books. One was Eat That Frog by Bryan Tracy. The concept is choosing your top 3 tasks for the day that you dread and knocking them out first thing in the morning. It’s a great goal to have each day so you know you are getting done what needs to be completed. My challenge to you: decide on three areas where you could be more consistent in your branding. Write down your goals somewhere where you’ll see them each day. You may even want to tap an “accountability partner” (whether it’s a fellow entrepreneur, a family member, or a close friend) to help you stick to these goals when the going gets tough.